August 17, 2018 - New Yorker Electronics is now distributing a heat sink device with enhanced power size ratio, high stability and optimum heat dissipation. The new Tepro TO-220 Non-Inductive, Thick-Film Heat Sink Resistor in the TO-20 Type is typical application for this is switching power supplies and various types of pulse circuits. 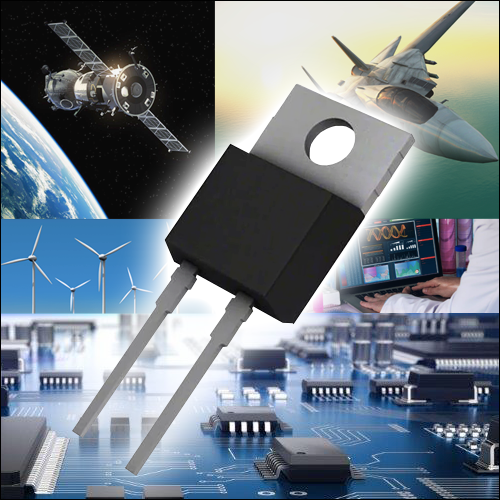 Tepro manufactures precision and power resistors for the military and commercial applications. Custom models are available with variations in lead length, tolerance to 0.5%, and temperature coefficients. It is terminal strength tested at a 5lb. pull and its solderability and solvent resistance meet MIL-STD-202 requirements. Many of Tepro’s precision and power resistors are custom designed and have the ability to meet very tight tolerances and even tighter lead times – including custom magnetics, microwave, resistors and wound film capacitors. New Yorker is franchise distributor for Tepro/Vamistor, divisions of Electro Technik Industries (ETI), and offers its full line of Heat Sink devices as well as its Low Ohm Current Sensing Resistors, Metal Film Discrete Resistors, Thick Film Resistors & Heat Sink Devices, Thin Film Networks and Thick Film Networks. Through the Vamistor Division they also offer High Voltage Metal Alloy Resistors and RL42 carbon film resistors.